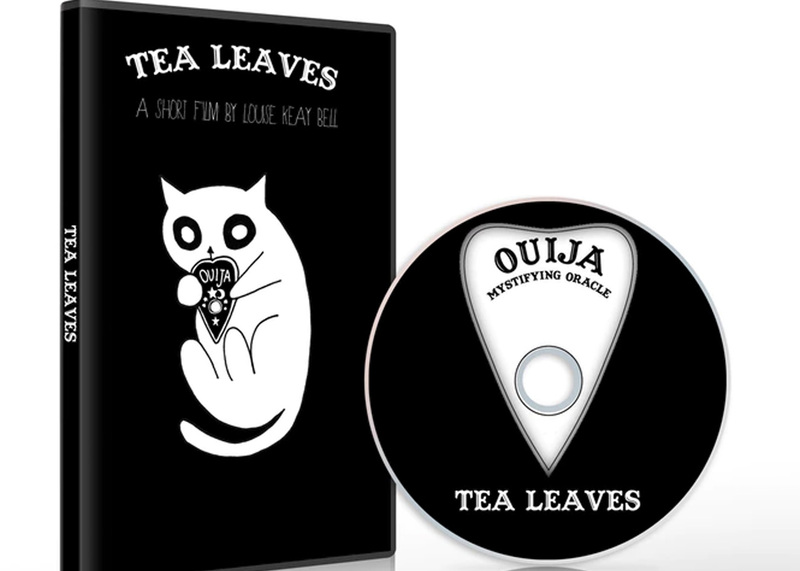 Chaos ensues after three different spirits are summoned by a Ouija Board in Tea Leaves, a short film combining live action with animation. I was recently contacted by a talented animator and artist from Scotland named Louise Bell. She let me know about her new film project, currently crowdfunding on Kickstarter, called TEA LEAVES. 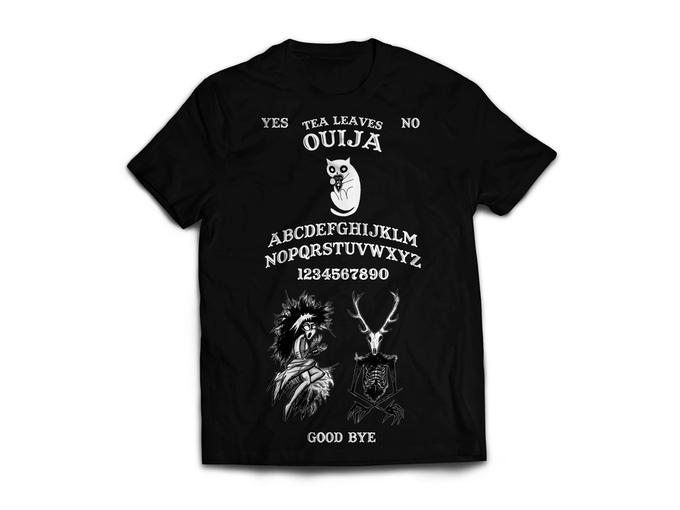 This short horror/comedy film combines animation with live action to tell the story of three supernatural spirits – a Wendigo, a Banshee, and a cat ghost — who meet at a Ouija Board séance. The concept really intrigued me, and I loved how different it was. But what really sold me was Louise’s great visual style and the interesting way she combines several different filmmaking/animation techniques to create a truly unique and inspired world. For those of you who, like me, truly appreciate innovative and outside-the-box indie filmmaking, this promises to be unlike anything you’ve seen before — a real visual and storytelling treat for horror and animation fans. In an old abandoned mansion, a group of self-assured ghost hunters are holding a seance by candlelight. In the parallel spirit world, we meet a Wendigo demon; a tall, dark figure with a stag skull head who carries an old tattered suitcase. He is bored with these scenarios and silly humans summoning him, and thinks this should be an easy task… Until he meets the resident ghosts; a wild, reckless Banshee intent on wreaking havoc and a mischievous ghost cat who just wants to play. Chaos quickly ensues before the spirits come to a resolution. The film will cut back and forth between the ‘real world’ and the ‘spirit world.’ The Wendigo and Banshee will be actors in costume, photographed to move like stop-motion puppets; a technique known as Pixilation animation. The ghostly cat will be animated by hand and superimposed into the film. Louise is an animator, illustrator and photographer from Glasgow making her professional directorial debut with Tea Leaves. She recently graduated from Edinburgh College of Art and fell in love with experimental art as a student, working in everything from stop motion to traditional hand drawn animation. Her student films garnered a great deal of recognition and praise. 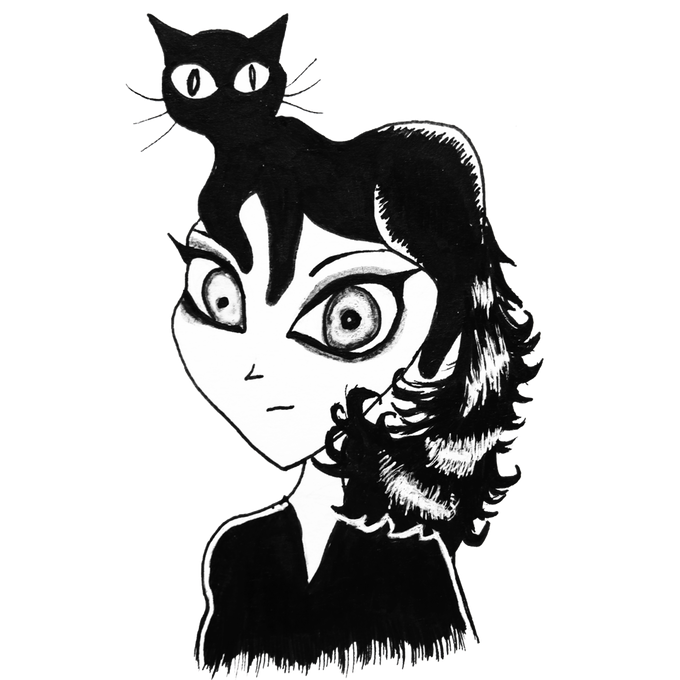 She’s created animation for TEDx Talks, worked on an animated music video and documentary, and even contributed art and articles to the horror site Popcorn Horror. As a rabid horror art fan, the perks for supporting this film are among the best I’ve seen for a crowdfunding campaign. 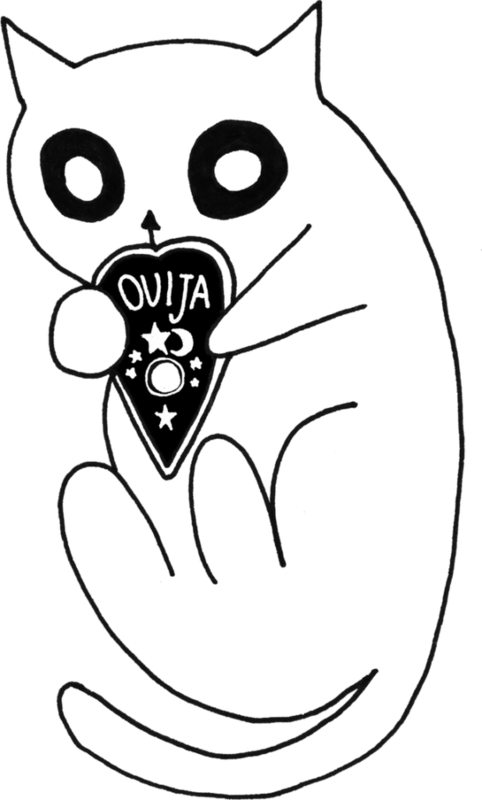 You can pick up impressive, gothic prints from the film, a DVD of Tea Leaves, an art book, a really cool shirt, and even an enamel pin of the irresistible ghost cat. Head over to the film’s Kickstarter campaign page before Sun, March 26 2017 to help make sure this very special film gets made.